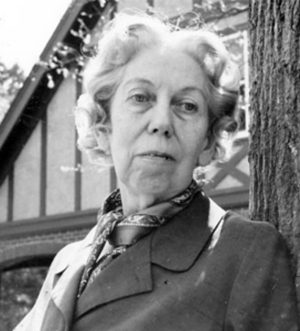 Eudora Alice Welty (April 13, 1909 - July 23, 2001) was an American author of short stories and novels about the American South. Her novel The Optimist's Daughter won the Pulitzer Prize in 1973. Welty was awarded the Presidential Medal of Freedom, among numerous awards including the Order of the South. She was the first living author to have her works published by the Library of America. Her house in Jackson, Mississippi has been designated as a National Historic Landmark and is open to the public as a house museum. Art is never the voice of a country, it is an even more precious thing, the voice of the individual, doing its best to speak, not comfort of any sort, but truth. Don't give anybody up... or leave anybody out... There's room for everything, and time for everybody, if you take your day the way it comes along and try not to be much later than you can help. If you haven't surprised yourself, you haven't written. In the end, it takes phenomenal neatness of housekeeping to put it through the heads of men that they are swine. Is there any sleeping person you can be entirely sure you have not misjudged? it doesn t matter if it takes a long time getting there; the point is to have a destination. It is our inward journey that leads us through time- forward or back, seldom in a straight line, most often spiraling. Each of us is moving, changing, with respect to others. As we discover, we remember; remembering, we discover; and most intensely do we experience this when our separate journeys converge. Our living experience at those meeting points is one of the charged dramatic fields of fiction. It's always taken a lot out of me, being smart. People give pain, are callous and insensitive, empty and cruel... but place heals the hurt, soothes the outrage, fills the terrible vacuum that these human beings make. The difficulty that accompanies you is less like the dark than a trusted lantern to see your way by. We are the breakers of our own hearts. When somebody, no matter who, gives everything, it makes people feel ashamed for him. Write about what you don't know about what you know.